The horror genre is seeing something of a renaissance. There are a lot of fantastic writers working in the small press that don't get enough coverage. Many of the novels we're showcasing here have won major awards in the industry or they're in production for film and television. Either way, once you've gone through Stephen King's back catalogue, here's a list of really great books to try. You may find a new favorite horror author below! A recent Bram Stoker Award winner that has been praised by Stephen King as having “[...}scared the living hell out of me, and I'm pretty hard to scare,” A Head Full of Ghosts is a terrifying novel about a (possibly) possessed girl, her religious father, a reality TV show, and the sister who has to witness the nightmare unfold. It's an atmospheric and horrifying novel about possession, fame, and memory. Multiple Award-Winning author Caitlin R. Kiernan is a master of nightmarish prose through her career in novels, short fiction, and graphic novels. The Drowning Girl: A Memoir is a powerful story about Imp, a woman suffering from mental health issue who falls in love with a woman who may or may not be dead. With lyrical prose and a downbeat ending, this is a gothic horror story of love and loss that Kiernan drew from tragedies in her personal life to write. 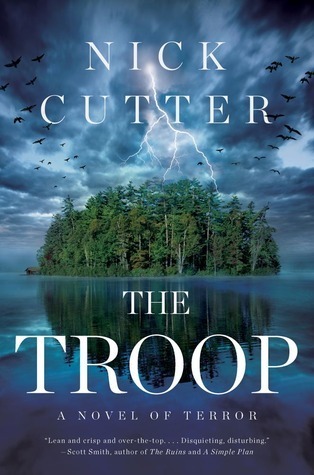 The Troop feels like a classic 80s horror novel, all energy and mania, and it was a James Herbert Award winner. The story unfolds around a troop of scouts who come in contact with an unspeakable bioweapon that begins corrupting the members from within. A fun combination of Lord of the Flies and The Thing, The Troop is one of the most fun horror novels you can read. Hex has an interesting history. It was originally a Dutch novel but Heuvelt changed the location to America and updated several plot points when the book was released in the United States. The story is about a small town cursed by the spirit of a woman who was executed in the colonial time for witchcraft. The spirit, whose eyes and mouth has been stitched closed, has become a daily presence for the town, who cannot escape her curse. However, the teenagers in the town hunger for freedom and use social media to share her existence with the world, to catastrophic consequences. A blend of Lovecraftian horror with the brutalities of the Jim Crow era, Lovecraft Country is a novel about racism and other ancient evils. The novel follows an African American family through a series of vignettes that brings them in contact with both the racism at the heart of America and with a group of cultists trying to summon unfathomable horrors. A great book that's is as important as it is scary, Lovecraft Country is being made into a TV show with both J.J. Abrams and Jordan Peele working as executive producers. Written by a former film historian and critic, Experimental Film follows Lois Cairns, a film critic suffering depression and struggling to raise her autistic son, as she discovers a mysterious reel of film that appears to be haunted. As she dives deeper into the mystery, she discovers the tragic origins of the film and the forces behind it. This novel is haunting and elegant, and exchanged the typical midnight darkness of horror for the burning light of the sun and the projector film bulb. Mongrels is a shaggy dog tale (see what I did there?) about a trio of traveling outcasts who also have lycanthropy in their DNA. The elder two have embraced their identity as werewolves, but the teenage boy they travel with, who narrates the story, hasn't begun to change yet and is starting to worry that he never will. The book uses the condition of lycanthropy as a metaphor for heritage and history, which stems from Stephen Graham Jones' life as a member of the Blackfoot Native American tribe. A powerful coming-of-age novel that's as heartbreaking as it is hilarious, Mongrels is one of the best werewolf novels out there. That ends this list of must-reads. If you like these books or have favorites of our own, please put them in the comments. Please share this list with anyone who loves a good horror novel.